Iranian regime’s supreme leader sending a warning to the regime’s forces, to stay alert against the enemy’s plots. A speech that clearly shows his fear of the regime’s downfall. His comments come after the Financial Action Task Force (FATF), an international agency committed to fighting money-laundering and corruption, asked the regime to improve its legislation to meet international financial standards. 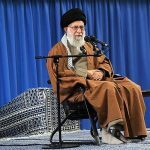 The request has divided the regime’s leadership, with one faction pushing for the regime to implement the FATF’s recommendations and the other pushing to leave financial laws unchanged. The debacle over the FATF’s recommendations has come in the wake of more public infighting amongst the upper-echelons of the regime. Foreign Minister, Javad Zarif, offered up his resignation last month over deep divisions and infighting over foreign policy. Although Regime President Hassan Rouhani did not accept the resignation and Zarif remains in his position, the incident showed a regime battling internal division and tearing at the seams of leadership. 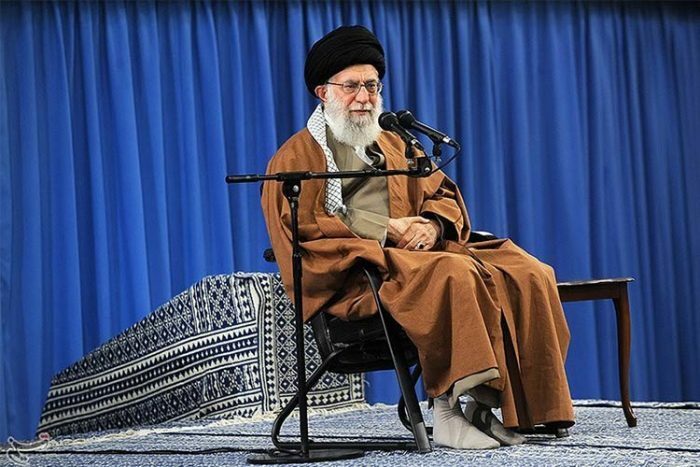 However contradicting himself, he reiterated that anyone questioning Iran’s role in the Middle East and its foreign policy objectives were, in fact, “helping the enemy,” adding that, “the enemy” fears Iran in the region.